Leave your message below for RPCVs who served in Ukraine. To leave an announcement for the entire RPCV community, go here. If you are looking for a lost RPCV go here. Greetings all Ukraine RPCVs and potential PCVs! Hi! I am a volunteer for an exchange student program called Center for Cultural Interchange. I place exchange students. I have a student from the Ukraine to be placed in a host family around Chicago, IL. Last year a PCV family hosted a girl from the Ukraine and enjoyed their experience. They suggested I place a note here so other PCVs can folow suit. The students speak English, are part of a scholarship program called FLEX, funded by the American government. Let me know if you want more information about hosting. Please call me at 630 784-4825. I have lot track of your emails and addresses. Where are you now? I am still teaching in NYC and I will actually return to Ukraine this August-September to chaperone a student exchange to Ukraine for a few weeks. Hope all's well with you and yours. Please contact me at sara_lowes@hotmail.com. My name is Nadia. The ex-students are looking for Ray Goul who served in Ukraine(Drogobych)from 1995-1997 in Education. Do you miss that heavy, stick to your ribs Ukrainian home-cooking? Looking for someone to share a few stories with over a few Obolon or Slavutich? "Laskavo Procimo" -- You are warmly invited to our place for vareniky, salads and a few Ukrainian beers in celebration of Ukrainian Independence Day (August 24th). 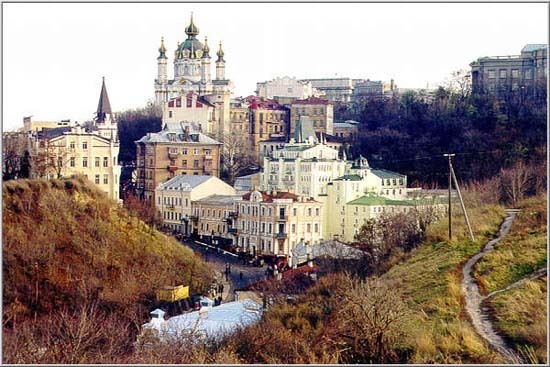 This gathering is informal and open to everyone (RPCVs, staff, friends, family and people planning to go to Ukraine). You are welcome to bring your favorite dish or drink to share, but there should be plenty to go around. Disclaimer: Sorry to disappoint you, but there will be no "holodetz" (that mysterious grey jellied meat, hmm... no I don't miss that!). Pochikayamo -- We're waiting for you! Large community event drawing Ukrainian diaspora from neighborhood & suburbs. Features live music, folk dancers, ethnic food, a beer garden, arts and crafts, kids' activities and more. Anyone else in this group? I am trying to connect with Brenda Murray who I believe now lives in Shanghai. Brenda I received your email but somehow my replies to you keep bouncing back. Pls contact me again.